The objective of the Analysis phase is to surface insights and learning that meet your user&apos;s needs in terms of both content and format, as established during the Design phase workshops. That said, we&apos;re always delighted when an analysis generates surprises — something we didn&apos;t consider or know previously. Analyses provide explanations, surface the mechanics of change or change pathways, and reveal emerging trends. You can use any qualitative data analysis method or tools to analyze the corpus (your set of stories). No matter what approach you use, analysis is going to feel messy. Because it is. There&apos;s a lot of information to sift through. You’re looking for commonalities, differences, themes, and outliers — What matters to people? Why does it matter? How do people talk about, characterize, understand what’s going on? Analysis can be outsourced, however there are benefits to doing it in-house. 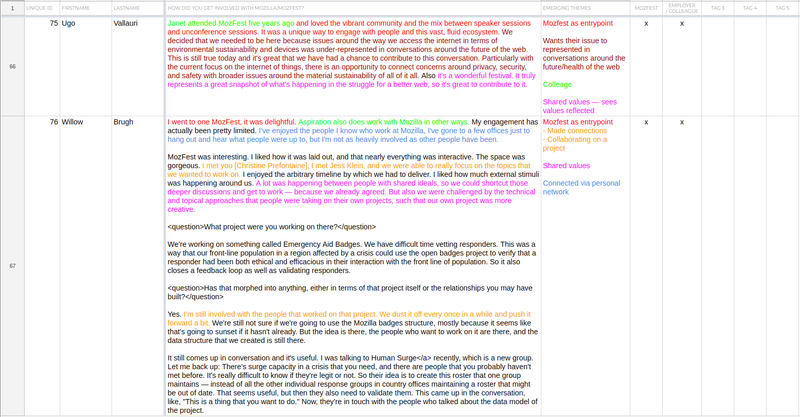 During the StoryEngine pilot, some Mozilla staff took the initiative to conduct their own analysis to guide decisions they needed to make work. We heard that although the analytic process was not smooth — it&apos;s hard work! — it was productive and important to engage with the messiness and the volume of information, especially when done in collaboration with team members because then everyone had ownership over the findings and were highly motivated to use them. It&apos;s also possible to do mini-analyses of the stories that were published over the course of a month, a quarter, or after, say, every 10 stories. Likewise, you can do quick analyses on specific themes. For example, during the pilot we experimented with releasing a newsletter for Mozilla staff — “#InternetHealth Heroes” — which was well received. Creating it also provided an opportunity to investigate all the places where StoryEngine content has been used and shared — my participants as well as others. What follows is our approach to conducting analysis. It&apos;s a lightweight guide based on our experiments, and not intended to be a full explanation of how to conduct qualitative data analysis or use computer assisted qualitative data analysis tools. Find a qualitative data analysis (QDA) tool that works for you. It can be as simple as as spreadsheet (see Using Excel to Organize Qualitative Data for Analysis) or something more complex like RQDA (free and open source) or Dedoose (proprietary yet affordable; good collaboration features). Familiarize yourself with the corpus (the set of stories you&apos;ll be analyzing) by first skimming through the whole thing. Then, read through more carefully. Taking notes at each pass is especially helpful to help refine your approach and coding structure. Ask: What ideas, concepts, themes are you seeing? We recommend using both preset and emergent codes — preset codes are codes assigned to ideas, concepts, or themes you expect to find during analysis (based on the learning questions you established during the design phase, as well as organizational hot topics or key areas of work), and emergent codes are codes that surface during your analysis. The idea with emergent codes is to surface things you weren’t expecting to find — these surprises are important. A code is a short word or phrase assigned to an idea, concept, or theme. Coding your data is an essential part of performing qualitative data analysis — it helps you organize, sort, and visualize your data. It is iterative and will change as your analysis and work progresses. Assign identifier information to each interview — Decide what identifier information is important and assign identifier information accordingly. Examples of identifiers you might use: gender of participant, date of interview, age of participant, location of participant’s residence, and participant’s profession. Use emergent codes to capture emerging ideas, concepts, and themes — As you make your way through the corpus, remember to utilize emergent codes to capture the things you didn’t expect to find. Based on notes and coding, synthesize what you&apos;re learning. Using your preset codes, purposefully look for answers to the questions you documented during the Design phase. Then use emergent codes to organize emerging patterns and themes — What surprised you? What did you find that you weren’t looking for? We recommend formatting your findings based on user needs — as established during the Design phase. 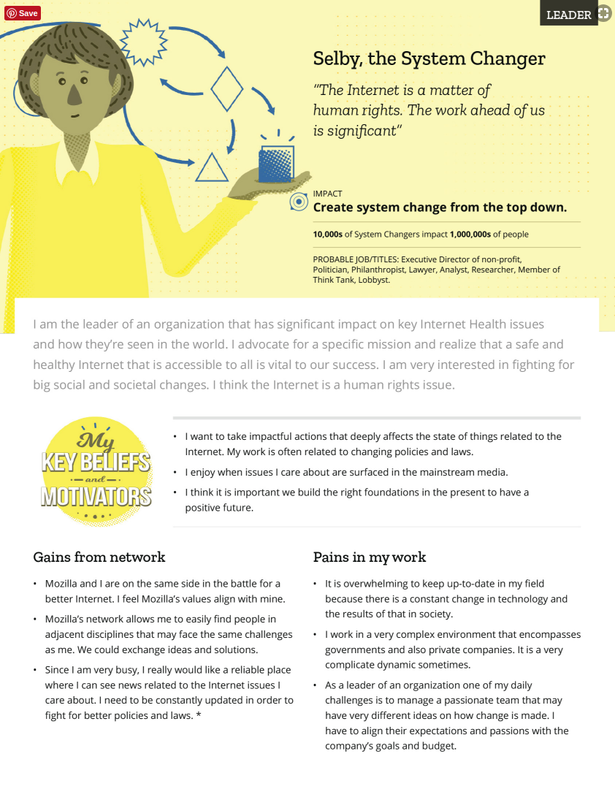 For example, the initial StoryEngine pilot report for the Mozilla Foundation was framed and organized around their already-established strategic objectives and key results. 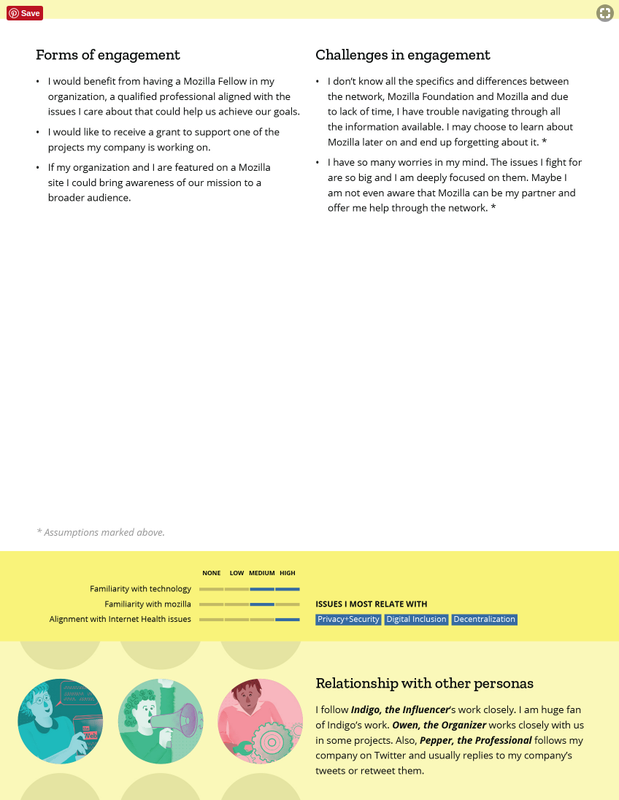 Findings can also be packaged as personas, journey maps, timelines, and more — it all depends on what works for your users. Now that your learning and insights are in a usable format, you&apos;re ready to Act & Loup Back. StoryEngine Data Structure & Analysis Test Results — Spreadsheet with a proposed data structure for better online display and filtering of participant attributes, questions, topics, and tags. Using Excel to Organize Qualitative Data for Analysis — Written by Susan Eliot (now retired). A simple yet effective way to use a spreadsheet to conduct analysis. We used Google Spreadsheets instead.